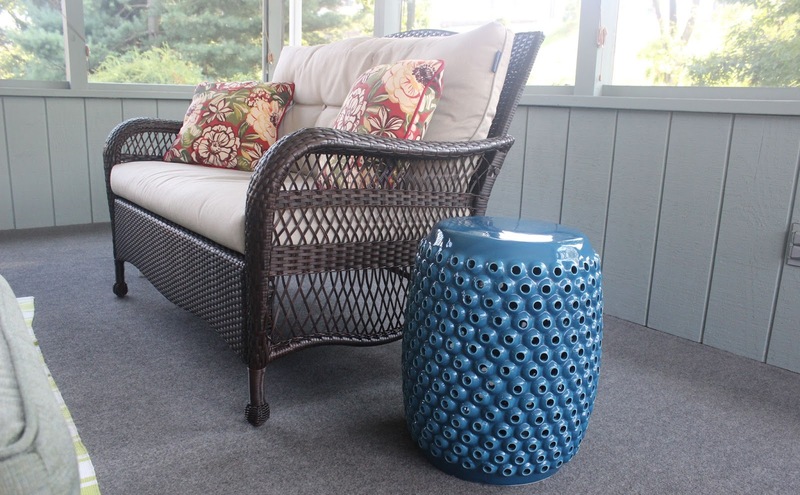 For years now garden stools have been a great addition to any home. There are so many ways in which you can use it and so many rooms you could place it in. I am super excited that I now own this Blue Round Stool from Wilford & Lee Home Accents. If you are looking for any kind of decor for around your home you should really consider Wilford & Lee. Not only do they have furniture but also accessories and furnishings for your bathroom, living room, and even gift items! Seriously it's like a one stop shop! 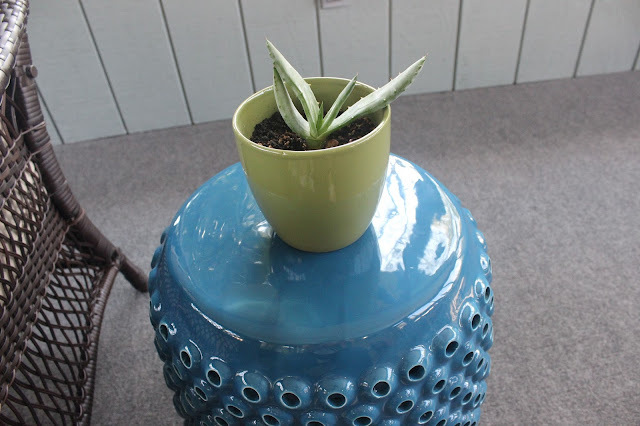 Garden stools are often used on a patio which is a great idea but our patio isn't in yet (probably next year) so until then, let's take a look at the 5 ways I used this garden stool in my home. Yep, how cute is this as a little end table in the screened-in porch? It's great for a wine glass, a plate of food, a book, a tray with a cheese plate on it, and much much more. It's so nice because it isn't super bulky and the style is great. 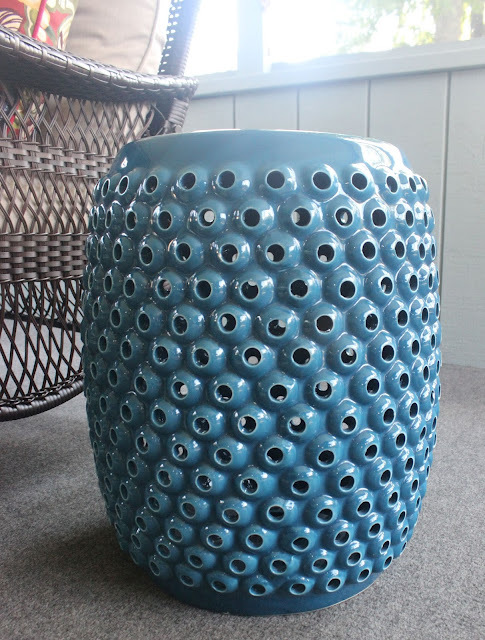 Everyone loves the holes and I love the color because it goes with the theme of our entire home! But what if I need extra seating in the porch when we have guests over and are entertaining out there? This makes a nice sturdy and comfortable seat. Right now I use this as a plant stand in the porch because it keeps plants up off the ground so the dogs can't get them but also so that they can get some sunlight through the windows. 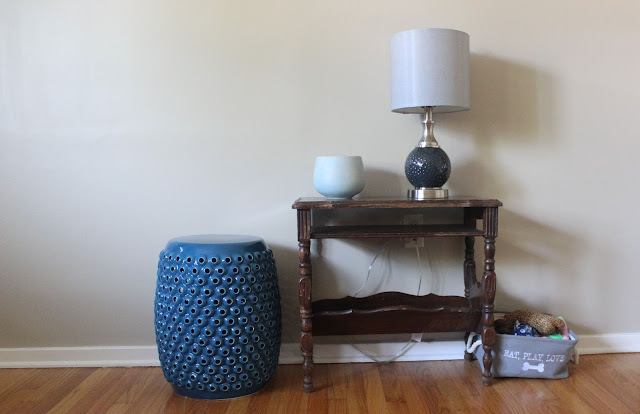 But in the late Fall and Winter I will need to bring my plants inside and as a minimalist I don't own a ton of random furniture to display items so I love that I can just bring this fabulous stool inside and keep a plant on it. When you walk into our home you are already in the living room but I consider the space along the wall part of the entry way so I like to keep it simple yet still pretty. This stool is PERFECT there and it even doubles as a place to set my handbag if need be! This corner of our dining room was bare for the longest time. I didn't mind it being like that but it always looked like something was missing. 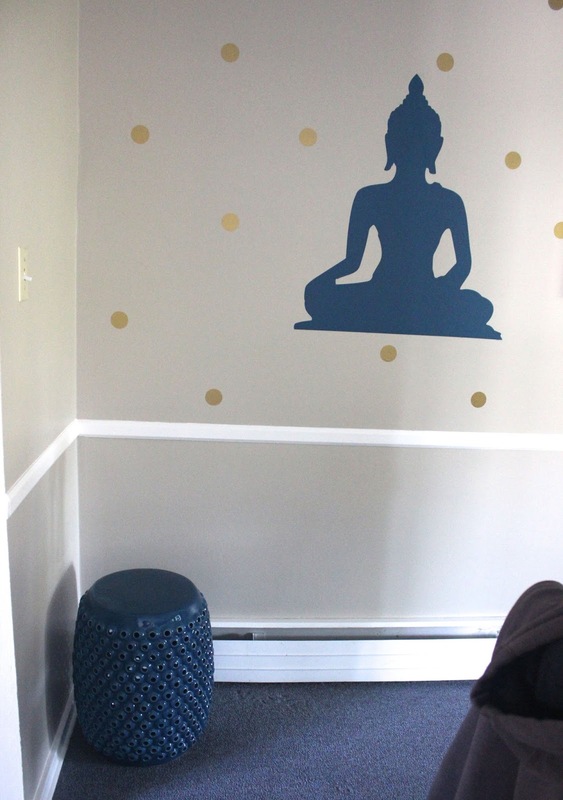 And would you look at that...the color of the stool matches the theme of the wall decor and Buddhas! I love decor that is fully functional as furniture. What's your favorite way to use a garden stool? Cute ideas! I think I like it best in the entryway! Fun ideas! It looks great in the entryway! Ahhhh I'm jealous of that screened in porch - someday!! Yes it was a major selling point when we checked out this house when it was for sale lol! I love the great ideas here! Great post! love ceramic stools and agree they're so versatile! thanks for stopping by katrina! 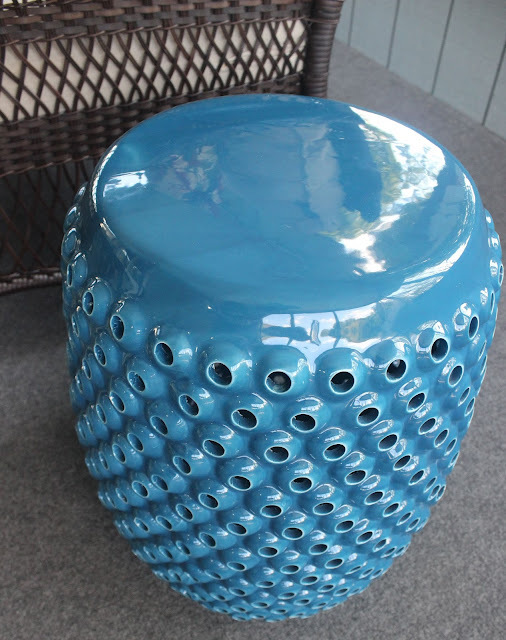 This is really cool, I've never seen a stool like this! i know i love the "bumps" on it! Fun... I'm always tempted to get one of these when I go to Home Goods! ahhhhh i see so many there! Love how versatile this stool is! Great post! Love your styling! Thanks Bethany. yea these stools have so many different ways to use them !